We’ve all heard the denouncements of millennials as lazy, entitled, and attention deficit. But research is showing the millennial to be a more complex character, one that dismisses the accumulation of yesterday’s American Dream. In its place, a value for experiences. Moments. Even events. Every year, thousands of people descend on a desert in Nevada with a single goal in mind: nothing. Yes, nothing. The event is Burning Man, a weeklong celebration of self-reliance, self-expression, inclusion, and leaving no trace. Nothing is present at its launch, and nothing is left at its conclusion. And yet thousands flock to the event. An inconvenient commute is no deterrent. 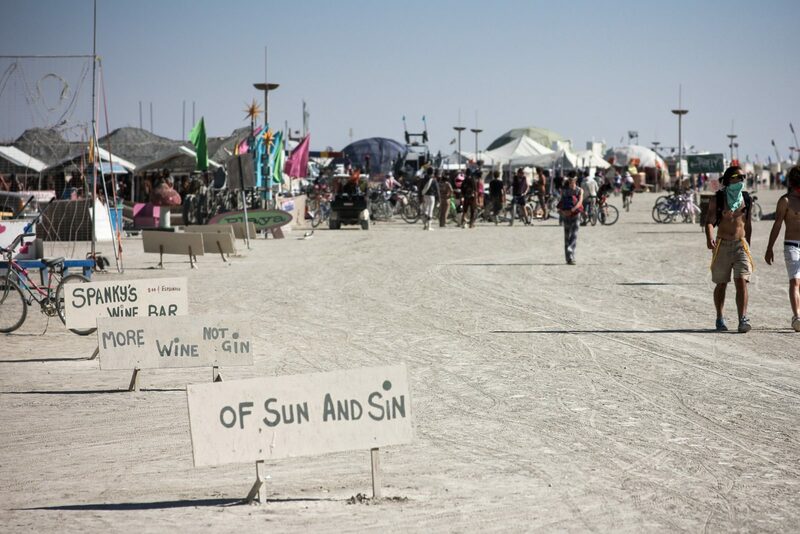 The success of Burning Man is a lesson to event managers everywhere. But what lessons exactly? Burning Man is all about human connection. People bring food and resources to share and trade, make friends with people of all races, creeds, and nationalities. In today’s digital world, human connection–real human connection–is worth flocking to a desert for. Create opportunities for authentic connection, not just surface-level small talk. Most would assume that Gen Y won’t function away from an outlet or Wifi connection, but Nevada’s most famous event teaches us otherwise. With the right experiential alternative, a break from technology can actually be a welcome restriction. Don’t shy away from resisting technology when it hinders connection or attention. Housing? Build from scratch. Food? Carted in from miles away. Drinking water? Ditto. Nothing about Burning Man is cushy or prefabricated. And yet the challenge is all part of the fun. You don’t have to hand your guests everything on a silver platter for them to have a good time. Conversely, an occasional challenge will create bonds nothing else could replicate. Consider including elements of challenge in your event, like an obstacle course or rock wall. So much of our lives is planned, expected, and routine. Check emails. Respond to emails. Water the lawn. Change the oil. Rinse and repeat. Offering event attendees an escaping the ordinary is invaluable. Sometimes, even the most bizarre experiences will be a welcome change from the everyday. Don’t worry about replicating the event experiences of others. As Steve Jobs would say, think different! The bottom line? Millennials are hardwired to become the ultimate event guest of the future. But earning their attendance may require rethinking certain elements of event and conference tradition.